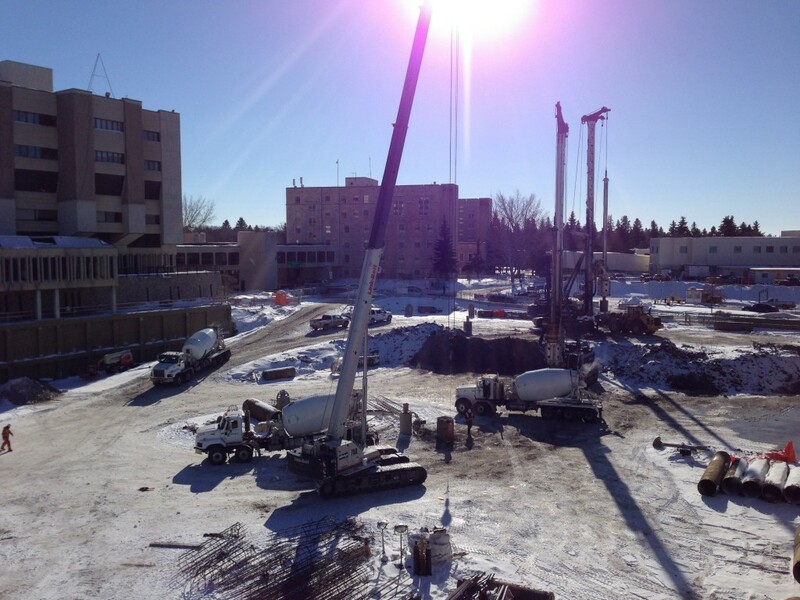 The new Children’s Hospital of Saskatchewan (CHS) is currently under construction in Saskatoon. When operational in 2019, it will be the first of its kind in the province – a five-floor, 176-bed facility that will offer specialized medical services for children, teenagers, pregnant women, and mothers. It will also include a pediatric and adult emergency department for both the CHS and the existing Royal University Hospital (RUH), which is located adjacent to the CHS. Construction of the new CHS is made all the more complex because it is being built on the site of the existing RUH. As such, there was extensive site preparation work involved. This began in 2011, and included the creation of a new entrance to the RUH, expansion of a portion of the parkade and demolition of an area of the parkade in the area of construction of the new facility. Not only does the “live” site translate into tight building conditions, it also gives rise to other concerns. 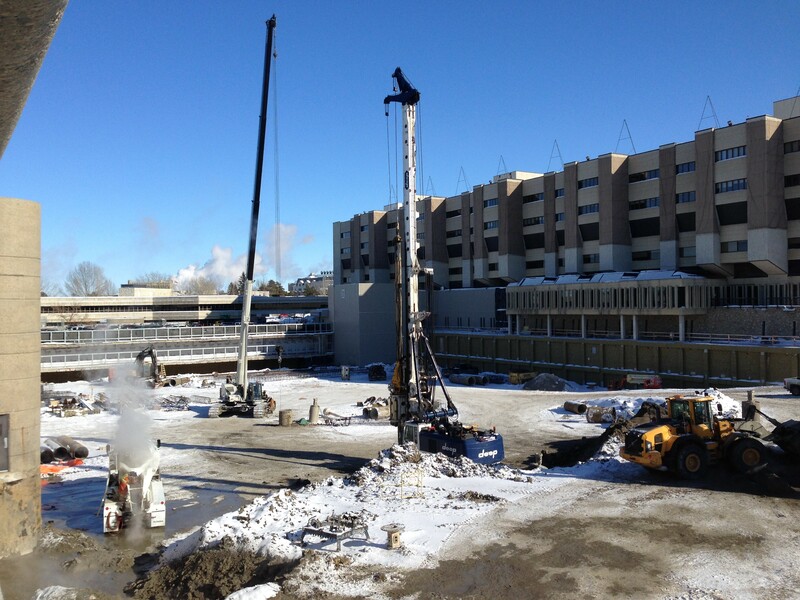 The first phase of construction on the CHS involved 240 cast-in-place (CIP) concrete piles. The company charged with the work was Deep Foundations Contractors Inc. They began the job at the end of September 2014, and finished in February 2015. 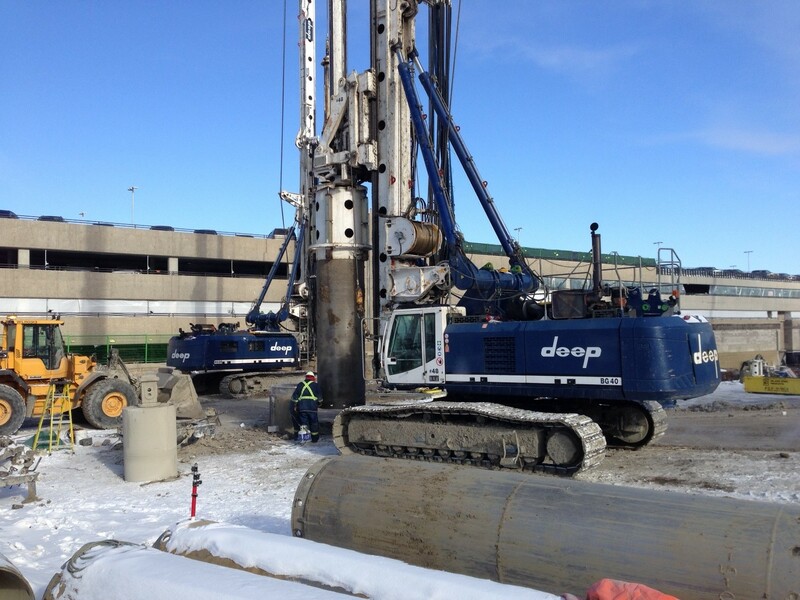 Despite the extra time required to ready the equipment, Deep Foundations Contractors finished the first phase of piling work slightly ahead of schedule. That’s not to say it was an easy job. 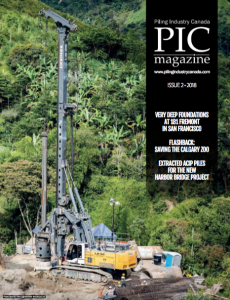 According to Bradshaw, the geotechnical information provided prior to the start of the project was limited because of the existing RUH parking structure that was located on the same site where the pilings were to be installed. The preliminary test holes were done primarily along the periphery of the site. 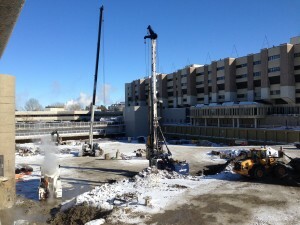 Additional geotechnical testing was completed once the parking structure was demolished. Fortunately, the company had additional capacity on site to deal with the extra depths required. The majority of the piles required a “bell” to be constructed at the base, which typically tripled the diametre of the base, in order to increase the bearing area and therefore, the pile capacity. 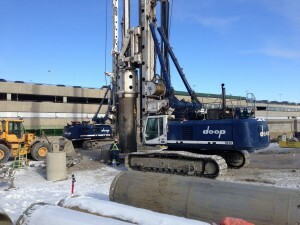 Another significant aspect of the piling work was the limited access that the crew had to the site. Although the restricted access from the “gap” site had the team of 10 people sometimes working into the evening, it didn’t involve night work. And, it didn’t delay the schedule. But the more complex scenario is yet to come. Bradshaw estimates this part of the piling work will begin at the end of February 2016, and run for a couple of months at least.